Meticulous home improvements have the potential to transform your property and enhance your general wellbeing. At DP Windows North Devon Ltd, we offer bespoke conservatories and other types of building work to help uplift your home. Based in Bideford, Devon, our hardworking, experienced experts ensure everything from building the foundations right up to the finishing touches are completed to the highest of standards. No matter your needs, our workforce is on hand to provide a personal service that is tailored to your individual requirements. We offer made-to-measure solutions to ensure complete satisfaction! Choose between glass, polycarbonate, and slate roofing for a conservatory that brings out the best in your home. Whether you're looking for a playroom for the kids or you want your own space to relax, we have you covered. When our team come to your property to carry out a survey, we'll bring our company laptop to show you what the conservatory will look like before any work is carried out. This will give you a great understanding of how the doors will open and where the windows will be, allowing you to visualise its full appearance. Once we have established your needs, we'll provide you with a free quote and visit your property twice more to take any necessary measurements and talk through the work that's going to be carried out. After a contract has been signed, the work is usually booked in for 6-8 weeks' time. 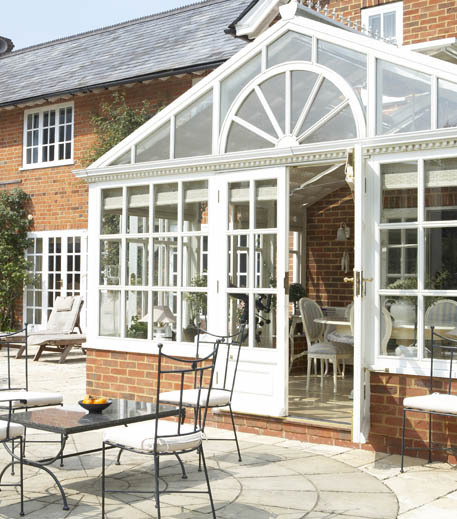 All of our conservatories come with an insurance-backed guarantee for your peace of mind. This will be discussed with you during the contract and will cover the roof, boarders, and building work. When we're carrying out the initial survey, we'll talk about electrics and plumbing to ensure we deliver exactly what you want. We work tirelessly to make sure that everything runs smoothly and there is minimum hassle or disruption caused to your day. Contact us today, in Bideford, Devon, to acquire further details about our bespoke conservatories and home improvements.